Welcome to the April Idea List. 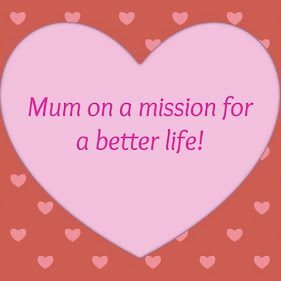 If you are new to the blog you can read all about the Idea List and the accompanying Facebook group here. I hope you find it useful and if you join in, I would love to hear how you get on. Monday 1st: Plan ahead and buy any needed occasion cards for the month of May. Tuesday 2nd: Do you know your credit score? If you do not, why not check it out. There are many free sites online which help you manage your score and make improvements if needed. Wednesday 3rd: Clean the skirting boards (baseboards) in a room of your choice. Thursday 4th: Take a look at your CD/DVD collection. Get rid of any that you no longer want and organise the remaining. Remember; sell, give to charity or recycle. Friday 5th: Today is ‘walk to work day’ – why not give it a go! If you are unable to walk to work today, why not go for a nice long walk this evening instead. Saturday 6th: Now that the daylight is starting to last longer, it is a good time to think about cleaning the outside windows of your home. Why not give it a go this weekend or hire a window cleaner? Sunday 7th: Have some family fun and play some active video games like Wii fit or Xbox Kinect. If you do not have any active games then why not get in the garden and play some hopscotch, garden football or make an obstacle course. 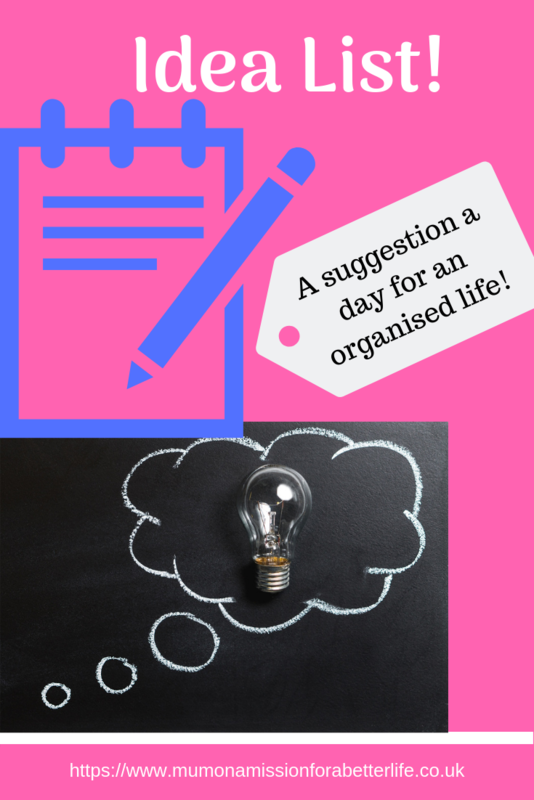 Monday 8th: Organise your cleaning supplies and make a list of any needed so that you can restock. Tuesday 9th: Go through your cookware and see which items need replacing. Organise where you keep them and make plans to purchase any needed. Wednesday 10th: Deep clean your oven or if the job feels too big, there are many professional oven cleaners that you can hire to do it for you for a fee. Thursday 11th: Tidy away your winter hats and gloves and make sure your umbrellas are handy for those April showers. Friday 12th: Do you have a basic first aid kit in the house? If yes, make sure it is well stocked and easily accessible, if no then why not make one today? Saturday 13th: Wipe down the radiators in a room of your choice with some warm soapy water. Sunday 14th: Have a picnic with the family and if the weathers bad, have an indoor picnic! Monday 15th: Pick a window and clean the inside of the window and the sill. Tuesday 16th: Take some time out for yourself today, even if you can only grab 20 minutes to enjoy a hot drink, a slice of cake and read a magazine! Wednesday 17th: Clean your bread storage container. Thursday 18th: Why not have a go at some Easter themed baking today? Friday 19th: Message a friend or two that you haven’t spoken to for a while and see how they are. It’s important to stay in touch with friends and family but easy to get sidetracked with life. Saturday 20th: Today is ‘husband appreciation day‘, why not do something nice for your husband if you have one! Sunday 21st: Happy Easter to those that celebrate. Monday 22nd: Today is a bank holiday so why not go on a day trip if you do not have to work? Tuesday 23rd: Declutter and organise your wardrobe today. Wednesday 24th: Go through your lotions and potions today. Check that they are still ok to use as many have ‘use by’ dates and discard any that are past there best. Organise and tidy your remaining beauty products. Thursday 25th: Clean out your handbag and purse, chances are you never know what you will find! Friday 26th: Give your kettle a clean and descale if needed. Saturday 27th: Clear out your garden shed if you have one. Sunday 28th: Today is ‘pay it forward day‘ so why not do something kind for someone today? Monday 29th: Have a totally screen free evening, no phones, TV or computers! Tuesday 30th: We are now one third through the year! Did you set any goals at the beginning of the year? If you did, now is a great time to re-evaluate them and plan for the next few months.